Join us for a very special tour of the Riot Games esports studio in Sydney. 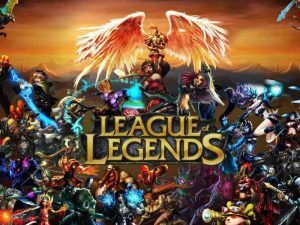 Riot is the publisher of League of Legends, one of the most played video games in the world. The Sydney Riot Games Studio live streams the professional esports matches of the Oceanic Pro League, a League of 8 teams in Australia, and also supports broadcasts for other regional teams. 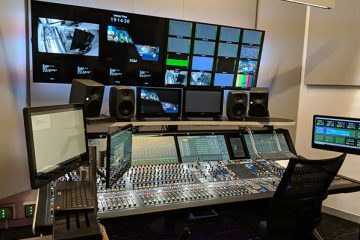 The Pyrmont facility has a broadcast control room, a casters studio, and two competition stages where the teams play. Less than a year old, the facility is a leading showcase of live streaming tech and esports gaming workflows. This exclusive tour will be a fascinating look at the technical and operational set up of a leading esports broadcaster, and the Riot Games team will also give us insights into what they have planned for the future in Australia. We hope you can make it for the tour and conversation with the Riot Games Sydney team, followed by drinks at the Harlequin inn across the road. Ticket numbers are limited and preference will be given to SMPTE members. Put a hold the date: Wednesday 15 November at Riot Games in Pyrmont. Better yet, register right now by clicking on the icon. Places very limited, preferences given to SMPTE members, and special dispensation applied to anyone who joins at/with this event.